The Division 2 is the sequel of the Ubisoft Game The Division, released in 2016. It's a fascinating hybrid between an online role-playing game and a third-person shooter developed by Ubisoft Massive. The game starts with a surprise: after a quick editor in which to define some physical aspects of your alter ego, such as race, hairstyle and some details of the face, you will start for the liberation of Manhattan from Brooklyn. The first two missions of the game, in fact, are set right in the populous district south of the homonymous bridge, where the Strategic Homeland Division, SHD in short, is organizing to resume a city brought to its knees by a strain of smallpox that has spread to the United States through the frenetic exchange of banknotes that takes place on the "day of shopping", Black Friday. You will be part of a special military body born to contain and fight any kind of emergency, outside the rules, trained to use all the weapons at its disposal, even the less conventional ones: The Division, in fact. The problem of The Division was the End Game. A game that wanted to compete with Destiny by offering PVP and Raid in its endgame failed precisely in providing competitive and stimulating end content. 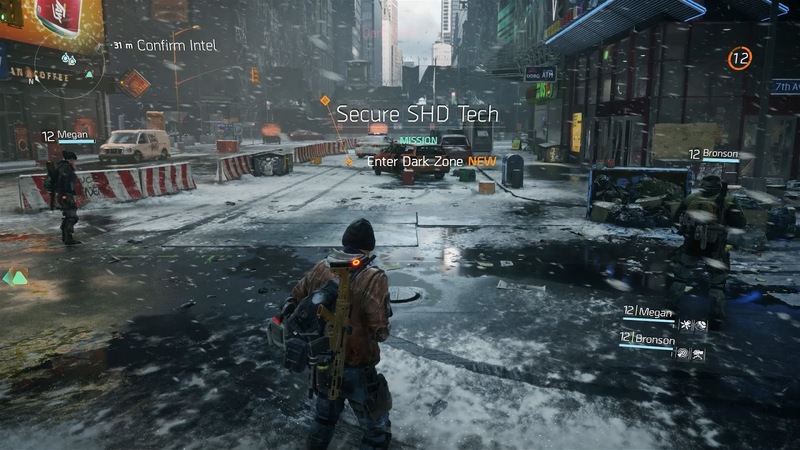 The Division's raids were of absurd simplicity compared to those of Destiny, plus they lasted little in terms of time for completion, and in every raid there were a few glitches to which the team managed to remedy only after weeks. I also want to specify that at the beginning the fun on The Division was at very high levels. In PVP area if you had good weapons and you were skilled you could attack and defeat 3-4 or more players and basically all the 32-player in the server was looking for you to get your size from Rogue. With skill, weapon and on servers without particularly experienced players, the fun was guaranteed. Or when you were looking for other groups or poor sacrificial victims with your group... I assure you of one of the funniest games I've ever played, so the hype for chapter 2 is so much. The Division 2 will be set in Washington. One of the visible changes that Ubisoft will focus on is that of a change in graphics: it will go from the dark of The Division to a much more enlightened environment set in summer, compared to the last chapter set in winter. Obviously, there will be new weapons and new customizations. Ubisoft has promised to have worked for two years in strengthening their weak department: the end game. In fact, raids are expected to live up to expectations and a Dark Zone, the pvp area, at least as fun as the first at the beginning. Important that solve and that you do not find other types of bugs, glitches that were really too present in the first version. The hype is so great, this game provided a lot of fun both in single player but especially in multiplayer. It seems that the console will still run at 30 Fps while on PC at 60 FPS and it seems that in the beta shown at the various fairs there were frame drops during clashes. We hope the final version is immune to these problems.